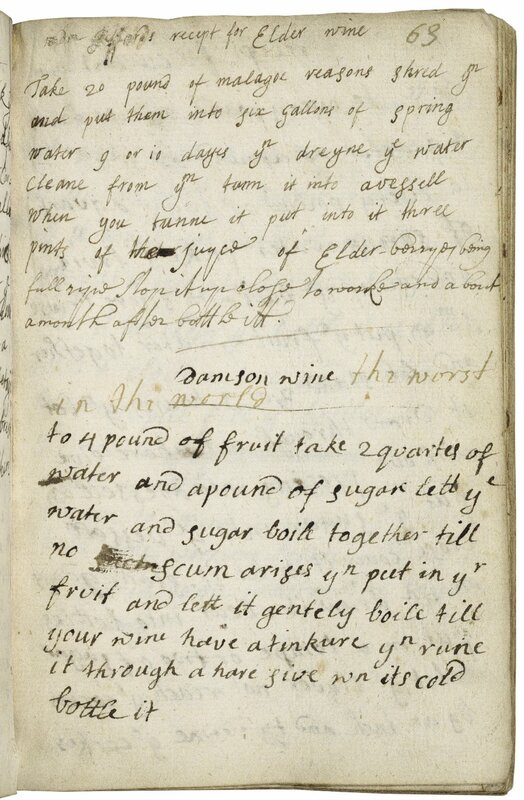 This recipe for Damson wine is from the 17th century recipe collection of Lady Vere Wilkinson, one of many books of recipes and remedies being transcribed by our Shakespeare’s World volunteers. If you think the recipe sounds more like flavoured syrup than wine you’re not alone. Someone saw fit to add a note (presumably having made and tried it) declaring it to be “the worst in the world.” If you’d like to help find a better quality wine recipe, go to www.shakespearesworld.org and start transcribing! Previous Previous post: Galaxy on Penguin Watch?